Congratulations! You just scored a job as a hotel, apartment, school or community pool manager. Now what?! 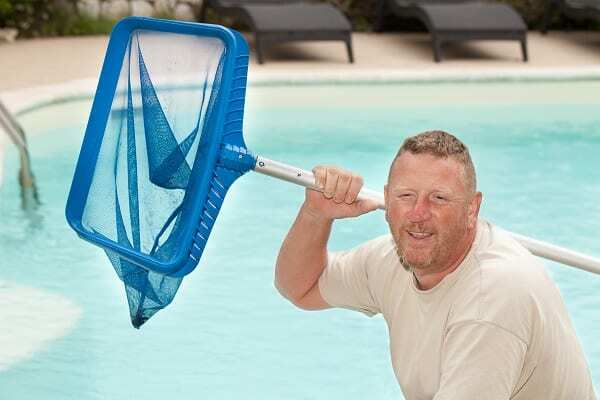 Do you know how to clean a commercial pool? Do you need to hire a commercial pool contractor? Just because you were hired to manage a commercial swimming pool doesn’t mean you need to weild the vacuum or test the water, right? If it’s up to you to hire a commercial swimming pool contractor, whether for a hotel, motel, public school, apartment complex or other public swimming pool in Arizona it makes sense to hire the services of a commercial pool contractor. The reason? Because commercial swimming pools are difficult to clean and balance the chemistry and when you have a commercial swimming pool you’re responsible for A LOT of pool traffic and the health of those who use it. When hiring a commercial swimming pool service and maintenance professional in Scottsdale, Arizona obtain at least three estimates. Compare the services outlined in the estimate with the prices offered. Compare the three estimates and if you have questions on the pricing or the tasks being performed, ask the potential commercial provider for an explanation. Are they available 24/7? What is the cost for a service visit on the off hours? Are any emergency visits factored into the estimate? How long will it take them to arrive if there is an emergency? If there is more than one of their clients with an emergency, do they have adequate staff to address that? What about your on site pool pro? Will your commercial site be assigned the same contractor for regular visits? This makes a difference because working with the same contractor assures he or she understands the nuances and intricacies of your pool and the swimmer load. Find a commercial pool contractor who offers references from other commercial, and even private clients. Who is he currently working with? Who has he worked with in the past? What experience does the contractor have with commercial pools? If you’re in the market for a swimming pool contractor for your commercial pool, give us a call and let’s schedule an appointment!